Virtual assistants such as Alexa, Google Assistant, and Cortana are all the rage. Using devices like Amazon Echo or Google Home gadgets, it’s possible to automate many tasks and have a smart voice assistant. However, using a Raspberry Pi and Mycroft, it’s easy to cobble together an artificial intelligence (AI) voice assistant. Here’s how to make your own virtual assistant with Mycroft! Mycroft is a platform that’s capable of controlling Internet of Things (IoT) devices and acting as a virtual assistant. Similar to skills for Alexa, Mycroft includes a bevy of skills, from telling the time to controlling media center software. In addition to the Raspberry Pi, Mycroft is available for Android and Linux. To begin installing Mycroft and creating a virtual assistant, you’ll need several items. For installing Mycroft on a Raspberry Pi 3, the easiest method is using Picroft. It’s an operating system built with Raspbian Jessie Lite as its foundation. As the name suggests, Picroft is specifically engineered as a means to install Mycroft. This project is available as an image which is ready to easily be burned to a microSD card. However, since there’s Mycroft for Linux, you may run this off of a Raspberry Pi using your favorite Ubuntu/Debian, Arch, or Fedora-based distribution (distro) instead. Alternately, simply run the Docker version of Mycroft on a Raspberry Pi. 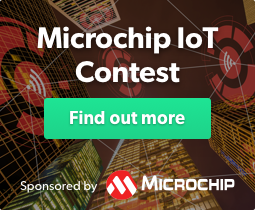 Do you like free hardware and cash prizes? Register to participate in our contest now! With your materials gathered, get started making a Mycroft personal assistant! Locate the extracted image file in your preferred image mounting software. Typically, that’s your downloads directory or wherever you selected to save your downloaded Picroft image and extracted image. Using your preferred image writing software, select the extracted image file. Then, choose the microSD card where you’ll mount Picroft. Burn Picroft to your bootable media. Although Picroft is the simplest means of spinning up Mycroft on most Linux distros based on Debian, Fedora, or Arch. Therefore, you may choose your favorite Raspberry Pi-compatible Linux operating system (OS). Raspbian should work perfectly, especially considering Picroft is Raspbian with Mycroft installed and configured. Then, enter that registration code in your Mycroft AI account to pair Mycroft with your Linux machine. Similar to devices like the Google Home or Amazon Alexa, Mycroft offers skills. These vary from telling the date and time to controlling media center software, or telling jokes. Onboard, Mycroft includes a smattering of skills. As with most AI smart assistants, you’ll need to become acquainted with what queries you can make and how to phrase them. The Mycroft documentation offers loads of examples for each of its specific skills. Creating a virtual assistant with Mycroft is super simple. While it may not boast the same connectivity and integration as an Alexa or Google Home, a Raspberry Pi running Mycroft offers tons of functionality in what’s an inexpensive, intuitive project. Using Picroft makes this incredibly feasible to spin up a smart assistant on the Raspberry Pi. Your turn: What smart assistants do you recommend?